Fairfield Junction where the abandoned Hollinwood Canal once met the Ashton Canal. Fairfield Junction sits immediately above Fairfield Top Lock 16. 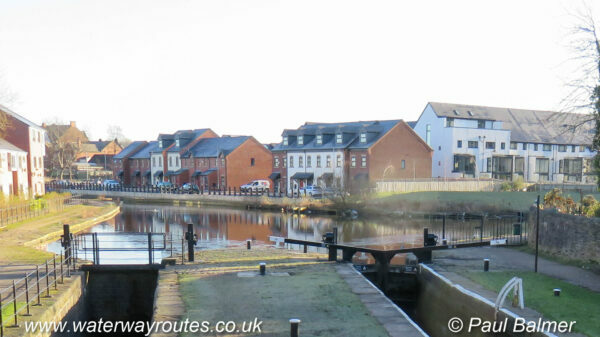 The Hollinwood Canal once ran straight ahead where the short remaining arm is now used for a marina. The Ashton Canal climbs out of Manchester (behind the camera) and turns sharp right immediately above the lock on its way to meet the Peak Forest Canal at Dukinfield Junction and the Huddersfield Narrow Canal just beyond.